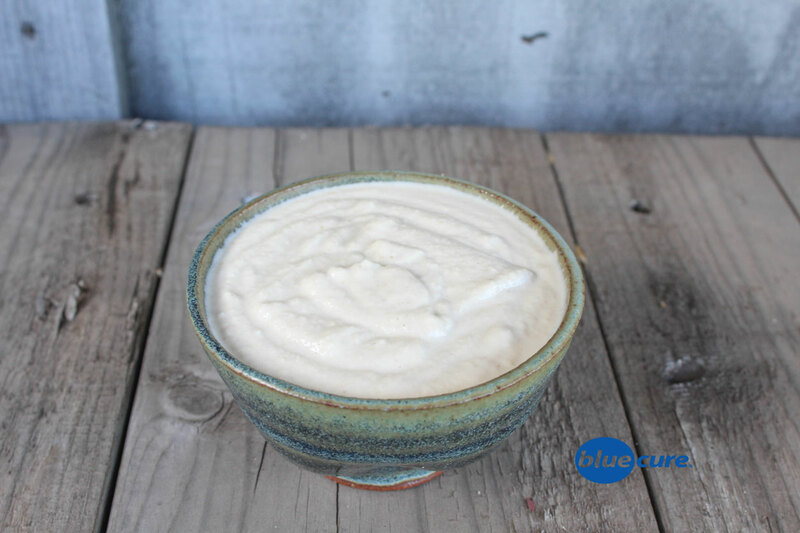 Blended cashews make the perfect replacement for any cream in soups, salads, pastas, and more. You can make cashew cream savory or sweet depending on how you season it. Leave it plain for sweet dishes or using as a replacer for sour cream or cream cheese. You could also add apple cider vinegar and lemon juice to the cashew cream to make it a more “sour” taste like sour cream. Add spices to the cashew cream to make it a savory veggie dip, salad dressing, creamy pasta sauce, and more. Enjoy it plain and serve as a fruit dip. Add a banana and pitted dates to the blender for a tasty, easy dessert. Blend with nutritional yeast and garlic powder to make a cheese cashew sauce. Add lemon, garlic, and other spices to make a creamy lemon dressing for salads. May need to add a little more water to thin the dish. Use in replace of mayo and spread on sandwiches. Stir in mash in chickpeas, chopped onion and celery with spices for an easy chickpea salad sandwich. Soak cashews in warm water for ~30 minutes. Either drain off the water or use it in the cashew cream. Pour the water and cashews in a blender. Blend until smooth. If need be, add more water until reached desired consistency. Cashew cream tends to thicken when it sits for several hours, so you may need to add more liquid if you want a thinner cream.